Its Raining Christmas Gift from our Favourite companies. 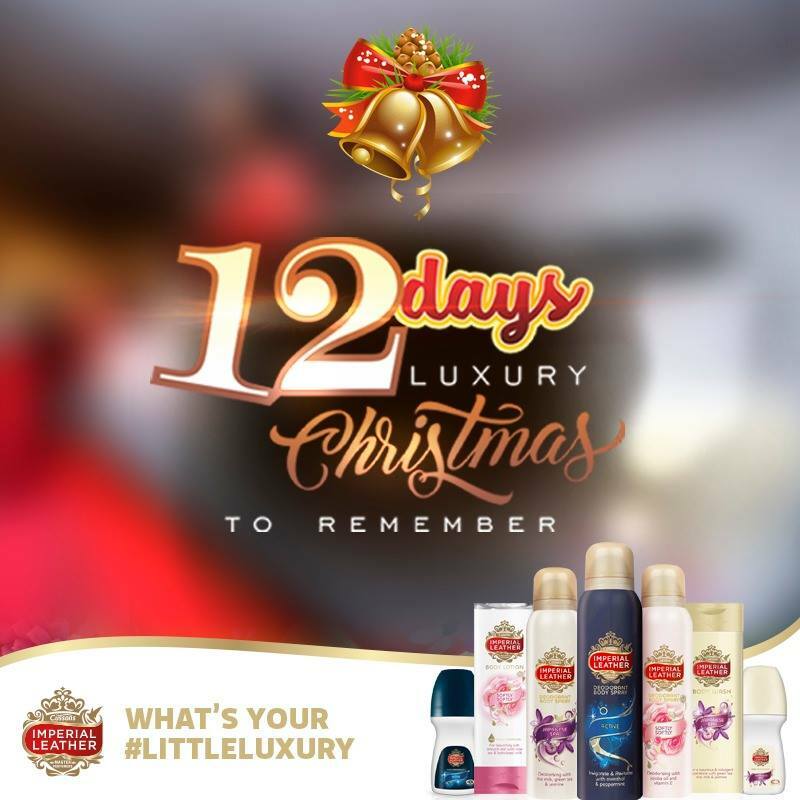 Here is 12 days of Giveaways By Imperial Leather Nigeria. It’s the season to be Jolly and we are excited to have 12 days of Luxury Christmas to Remember. 1. Follow us on all our social platforms and tag 2 friends to follow. 2. Answer the two trivia questions correctly & you MUST tag a friend every time you answer a question. 3. Use the hashtag #LuxuryChristmas #ImperialLeatherDeo in your answers. Now are you ready? First giveaway post goes up by 12 noon. Tag that friend who needs to see this. Contest Runs For 12 Days from Today.